What was Richard Rorty’s concept of philosophy? 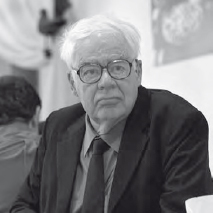 Rorty (1931–2007) viewed philosophy as an ongoing free conversation or exchange of ideas that might be pursued passionately but nonetheless could not arrive at a kind of truth that did not exist. Philosophy was an opportunity to creatively reinvent oneself. Although he continually expressed liberal views, he did not think a rational view of universal human rights was possible to construct but that empathy and related sentiments could be cultivated by reading literature and through the right early education. Richard Rorty believed that most philosophical problems are illusions caused by language and that truth is an arbitrary ideal (AP).